It’s time for spring! Whether the weather wants to cooperate or not right?? 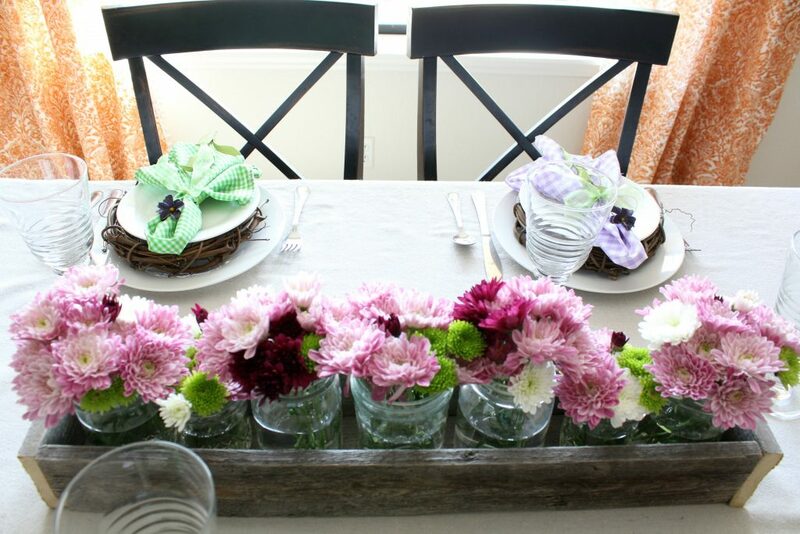 It’s been pretty lovely here the past few days so I decided to play around with decorating a spring table! 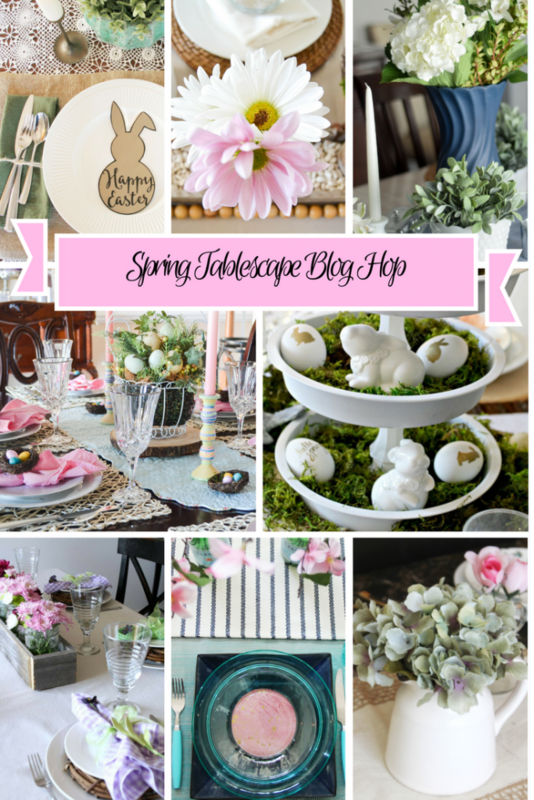 I’ve joined some other talented bloggers this week that will also be sharing their spring tables. 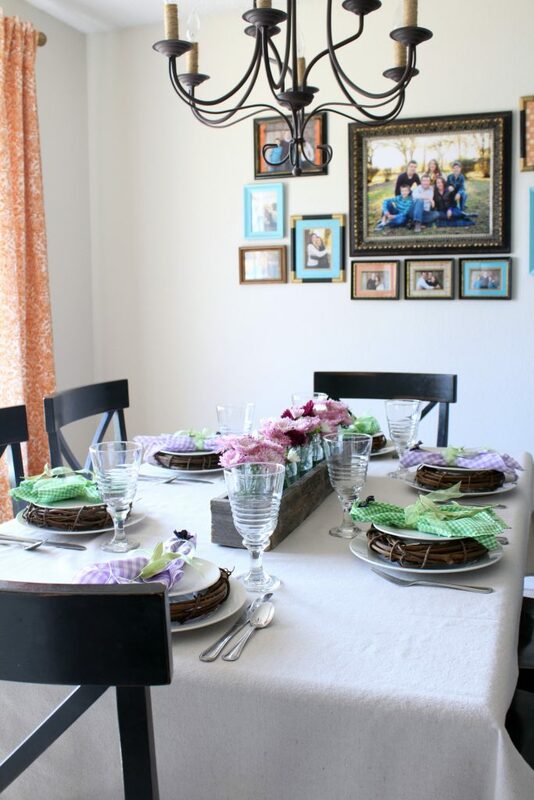 Be sure to check out the links at the bottom of the post – lots of inspiration just in time for Easter dinner! I found this floral bunch at Walmart and was inspired by the colors. I’ve always loved purple and green together and couldn’t wait to dive in! We have been on a bit of a budget makeover lately so I knew I didn’t want to spend a ton of money on this table. So, I headed for my stash of stuff. Enter the fabric hoard stash. I found this cute lilac gingham. It wasn’t a perfect match with the flowers, which years ago would have driven me crazy. But, I’m older and wiser now and I know that everything doesn’t have to match perfectly. No, really it doesn’t. Ha!! For the centerpiece, I knew of course I was using the flowers. But, I needed something to put them in. Hubby made a couple of these troughs for me a few years back, and this one was currently on my mantel. So, I grabbed it and filled it with a collection of mason jars I found in my garage. I really wasn’t sure I was going to have enough flowers, but sure enough it came out perfectly. 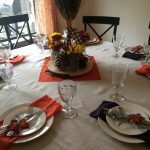 For the place settings, I was drawing off my inspiration from Magnolia Market. They had used cute little nests under their desert plates. You can see those here. However, I had no desire to hunt for those and knew that these small grapevine wreaths would give me a similar look. 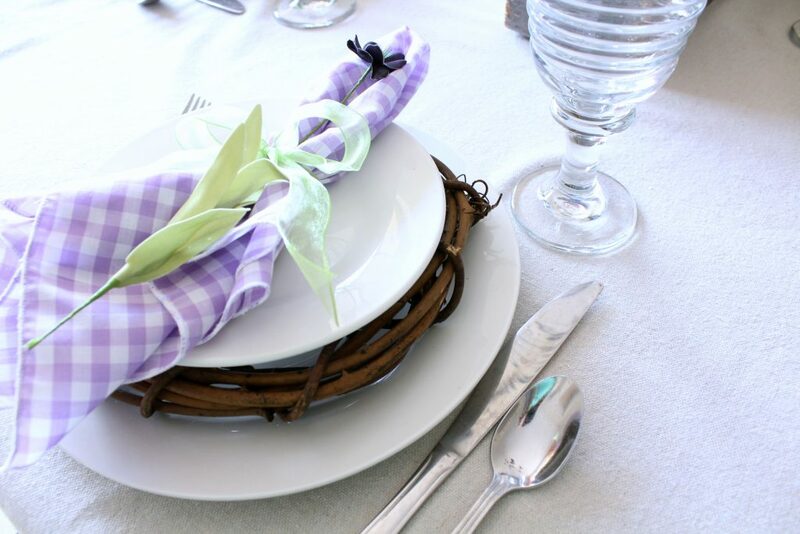 The napkins are tied with ribbon, and I tucked a purple silk floral stem in just for a little more interest. You may have noticed that our breakfast room table shrunk. I finally allowed myself to believe our family is shrinking. Well, at least the ones that live here on a regular basis. Part of the process I know but still hard to accept. 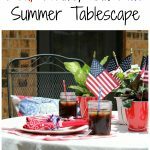 Be sure to hop on over to check out the tables that these other talented ladies have put together for spring! 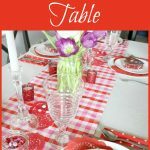 I love that our tables are similar! Great minds think alike! 🙂 Happy to be hopping with you this week! Thanks Lindsay! Headed over to check your table out now! So pretty Denise! 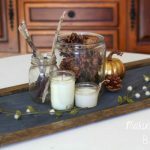 I love the grapevine wreaths, that’s a great idea for adding a little texture, along with the wooden trough!! 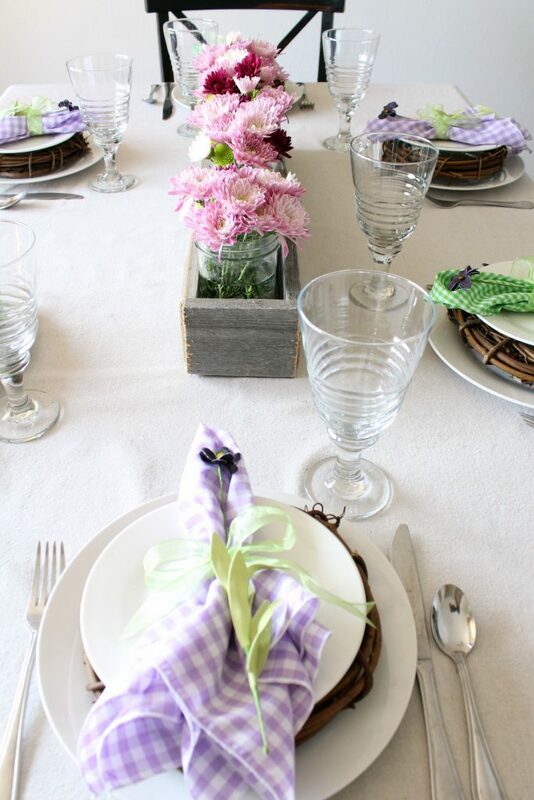 Those gingham napkins are so pretty and I love the rustic look! 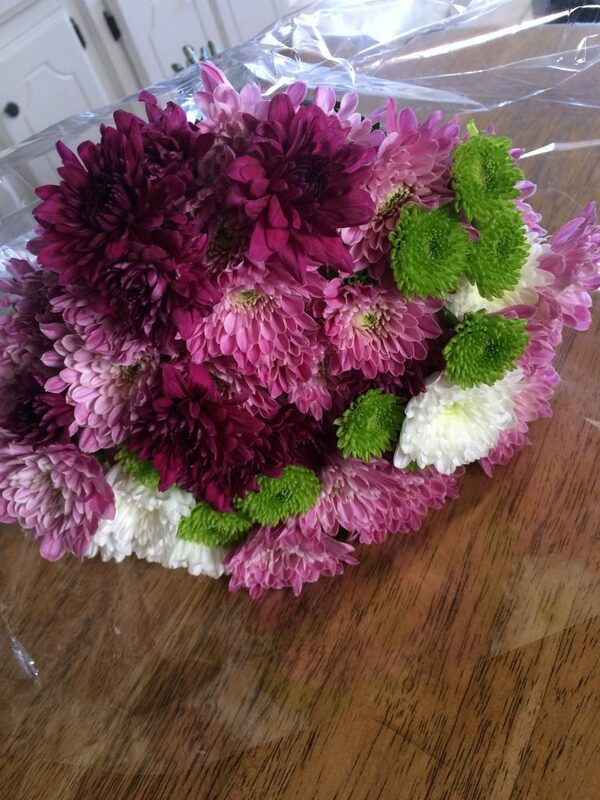 Those flowers are gorgeous — I don’t think I’ve ever seen a bouquet that pretty at our Walmart, haha! 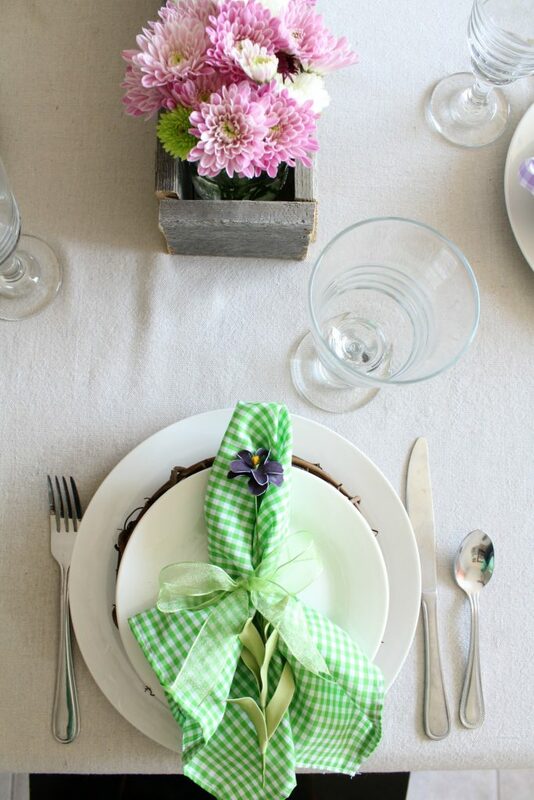 I love the grapevine wreaths used as chargers & the gingham napkins are lovely!! 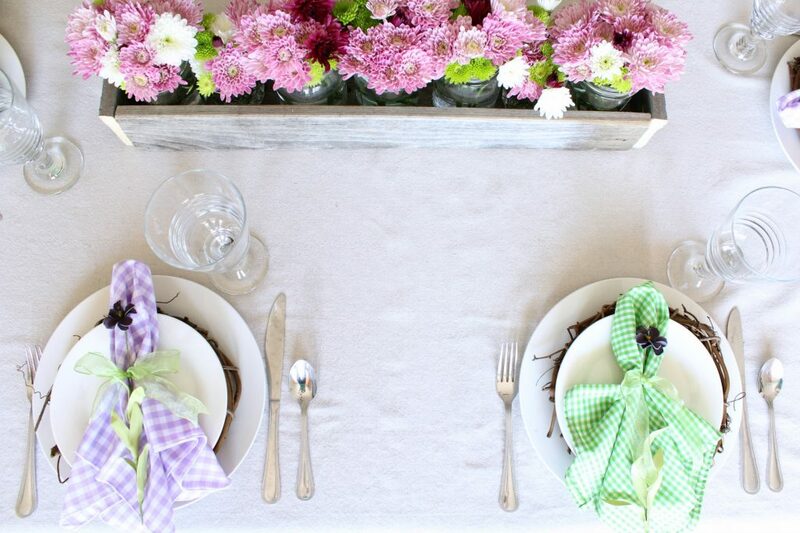 Beautiful Spring Tablescape! 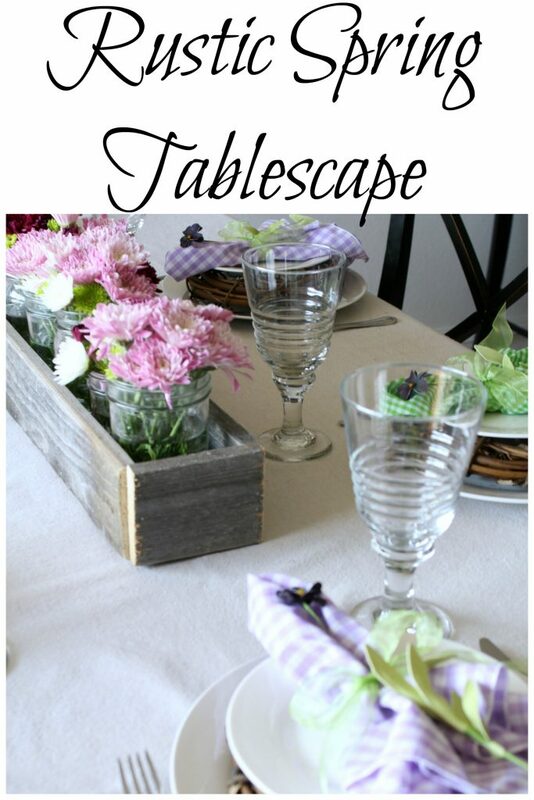 It is such a lovely table and it is not cluttered! 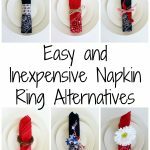 I love the mix and match of the napkins and how great is it that you found the perfect mix to go along with the flowers? I love the flowers, too. I should have checked Walmart! 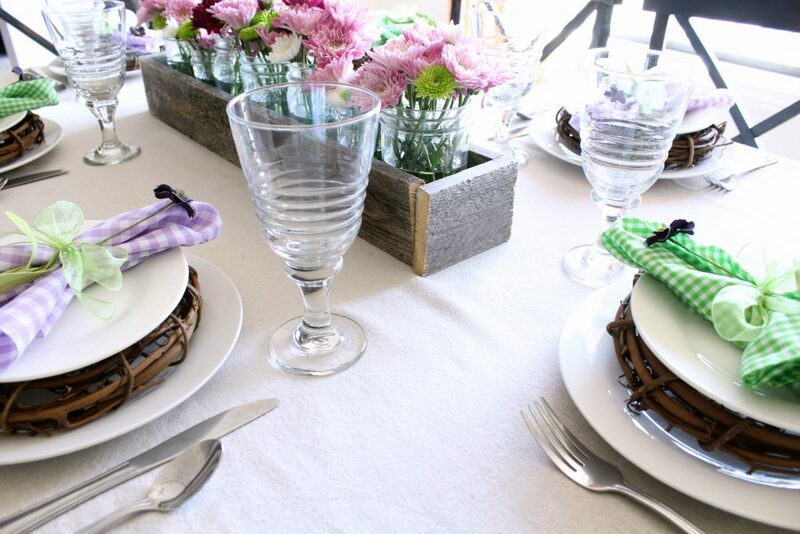 !The grapevine wreath also works very well on the table. It was fun to share along with you!! That centerpiece is beautiful!! 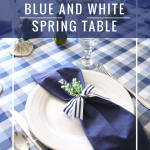 I also love the gingham napkins. Perfect for spring.